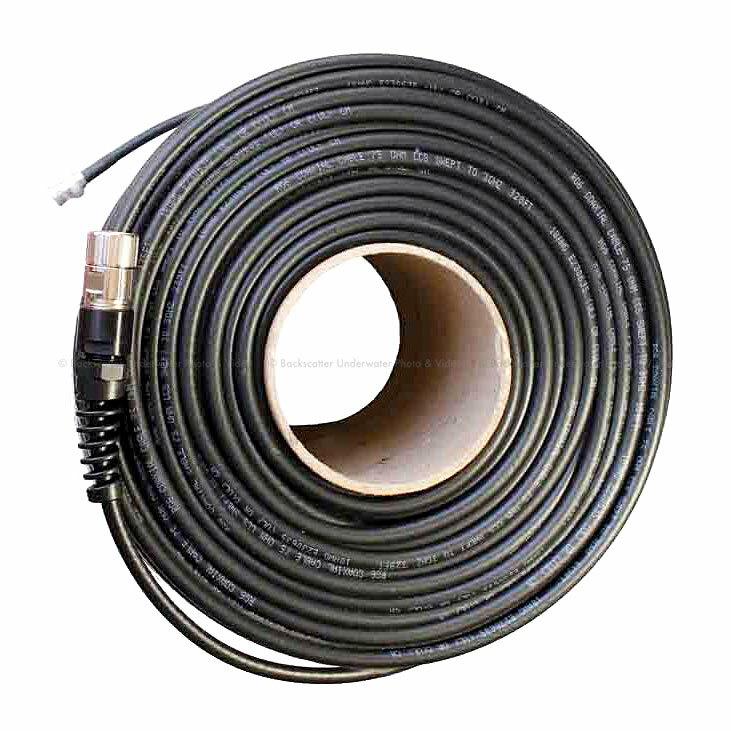 Dive & See 328 ft / 100 m underwater, high quality coax cable, designed to ensure a perfect transfer of HD-SDi signal (support 3G). The strain relief allows the cables to move without cracking and breaking. Custom length and other connector types are available.